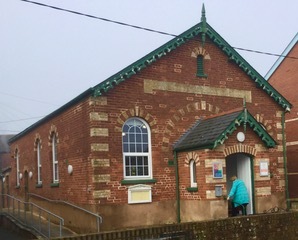 Centrally situated in this estuary village, near to the Railway, our Church is a well used all-purpose modern community building, with fully equipped kitchen. It is suitable for a variety of uses including small group meetings, retreats, and Guiding ‘sleep-overs’. Sunday Church life is shaped around the 4W’s: Welcome from 10.00am; Worship at 10.30am, a range of styles and music; in Word we explore being a Christian today; Witness reflects our response to God within our Church and World. All ages share our special fellowship together. We delight in a ‘Ministry of Food’ sharing meals within the church and wider community. Congratulations to the ‘lunch team’, the ‘building team’, the house group and all the people who have given up their time, energy, prayers and donations to make Lympstone Methodist Church a key part of our village and faith community. We are hoping to develop our involvement with our local and global community as we meet together to support each other through our shared faith.